It’s going to be set in the Vietnam War. Also included in “Hours Of Darkness” are some new abilities and items, as well as two modes. 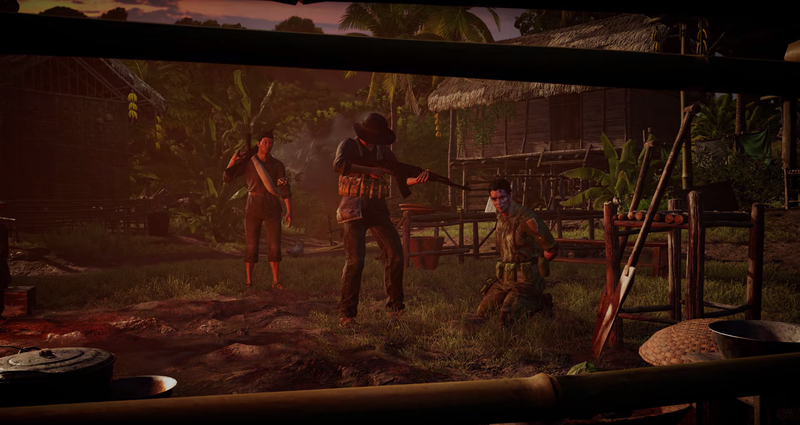 “Survivor Mode” which places restrictions on the player’s weapon load-out to make the game harder to complete, and “Action Movie Mode” which allows the player to hold more guns than usual, allowing for a more non-stop action type of playthrough. Ubisoft has also already released some assets from “Hours Of Darkness” for the in-game’s map editor, in a free update. The other two DLC’s, “Lost in Mars” and “Dead Living Zombies” are scheduled for a July and August release respectively. Far Cry 5 is available on PS4, PC and Xbox One, and has a 81 (PS4), 82 (Xbox) and 78 (PC) on metacritic. Have you finished Far Cry 5? Will you buy this new DLC when it comes out? Join the discussion below.